With midterms quickly approaching, freshmen can grow anxious thinking about their first week of exams in their high school career. WSPN answered some commonly asked questions about the exams. WSPN’s Caterina Tomassini and Jess Reilly answer some of the most commonly asked questions about the exams. Where are some good places to study? The media center is typically open later than its usual hours during midterms, so students can study in there with friends or alone in a cubicle. If not, the town library is a quiet space opened later than normal to get some work done. Others prefer to study alone at home, which allows for a more focused environment. Wherever you choose, it’s important to be in a place where you can truly focus on what you’re studying. Do teachers give you study guides? Since all ninth graders are taking midterms for the first time, teachers know that students don’t know what to expect. In the past, biology teachers have given students a guide that provides basic terms and ideas from the first semester, but it’s still a good idea to refer back to your notes for other important details. For English, there is typically a grammar section and an essay. Teachers go over the grammar in class so that you don’t have to worry about it at home, but the essay can be difficult to prepare for since you may not know what the prompt will be. Not every language teacher is the same, but they will likely tell you what your topic is going to be so that you can review vocabulary. Math will provide a study guide including practice problems, but you should still go over your notes to make sure you feel prepared. In addition, teachers are typically more than happy to meet with students individually or in small groups for extra review. The history midterm is not going to be a surprise, as many of the questions are similar to ones from tests you’ve taken over the semester. They will likely provide you with a list of topics to review. How on Earth are we supposed to study for five tests all at the same time? It seems overwhelming, but you have to manage your time well. Many students begin preparing for their midterms two weeks in advance. 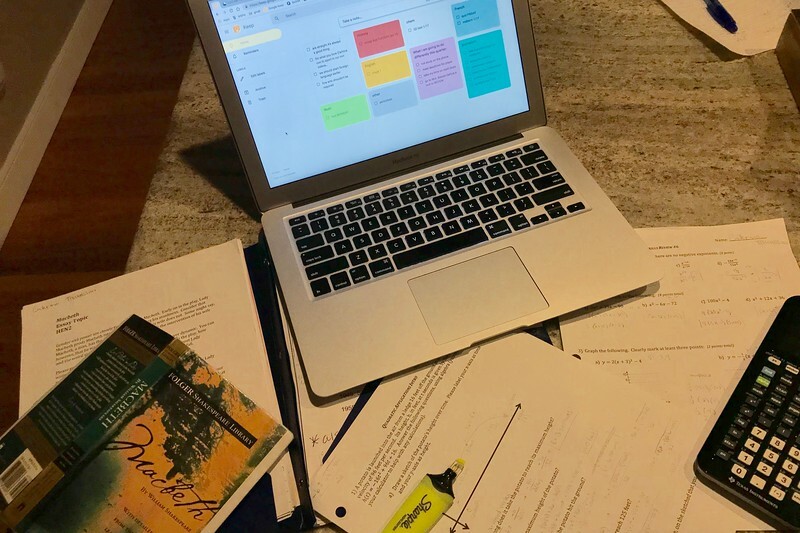 One strategy is to study certain subjects on given nights for about 30 minutes until all subjects and units have been covered. On the week of midterms, you can study for your closest midterm the night before. Making a schedule for yourself is a good idea so that you stay on track. How many hours should I spend studying? It’s not about the number of hours you spend studying, but about the quality of your studying. If you are completely focused for 30 minutes at a time, you will be more productive than if you study for two hours while checking social media. When should I arrive to school during midterm week? If you have a first session exam at 8:00 am, come to school at regular time and spend a few minutes going over last minute notes. If you have a second session exam at 10:15 am, coming about 15-20 minutes early is recommended. What should I bring to school during midterms week? The only thing you will really need is a pencil (and a calculator for the math exam). If you have two exams on one day, you can also bring a water and a snack.